It’s part of powerfully popular Alexander family, and a villain name extraordinaire. 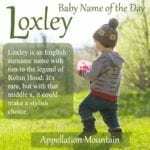 Our Baby Name of the Day is Lex. Even if you’ve never read a comic book, you almost certainly recognize this name. 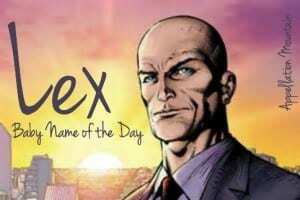 Alexander Joseph Luthor – better known as Lex – is a DC Comics supervillain, archenemy of Superman. The character was introduced in 1940, and Luthor has plenty of positive attributes. He’s brilliant, creative, and generous to charitable causes in Metropolis. Sort of sounds like Tony Stark as Iron Man, right? But no. Luthor is power-hungry and out to get the Man of Steel from day one. Speaking of day one, we also meet a young Lex on Superman-prequel Smallville. It makes the character less of a villain and more human, and we learn that the sworn rivals started out as close friends. While Luthor is usually pictured as a genius entrepreneur and inventor, DC Comics has occasionally given him other callings. In one storyline, he even won the White House. A mere 94 boys were named Lex in 2012 – the peak year for the name’s use – and just 58 in 2014. At least a handful of boys have been given the name most years since well before DC Comics ever published a storyline featuring the villainous Luthor. And yet, it’s tough to get a handle on exactly how many children might actually answer to Lex. That’s because Alexander has been such a powerfully popular name over the past fifty years. It first cracked the US Top 100 in 1977, and broke into the Top Ten in 2008. 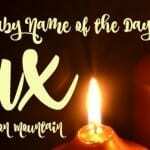 While most Alexanders are probably Alex, with that many boys answering to the name, no surprise that other nicknames have emerged. Joss Whedon’s fictional everyman character Xander is one, and super-short Xan is another. But Lex could be the nickname of choice for many, many boys and men born since the 1970s. But Lex feels like an especially powerful possibility in 2015. Call it the Jax Effect. Plenty of traditional names for boys end in x, and many of them are short. Think of Rex and Max. Knox, boosted by the Jolie-Pitt family’s youngest son, and a traditional surname associated with a famous fort. Before it was a celebrity baby name, there was a character called Knox in the enduring 1989 film Dead Poet’s Society. Fox, an animal name that fits right in with our current affection for creature-inspired choices like Wolf and Bear. It also brings to mind the unforgettable character of Fox Mulder from The X-Files. 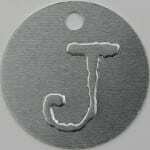 Jax, a spin-off of Jackson-respellings Jaxon and Jaxson. It is more modern than Jack, and a fast-rising choice. Dax, a rarity brought into the public eye by Parenthood actor Dax Shepard. Lex splits the difference between Max and Dax. It’s not traditional as a given name, but it’s hard to argue with the name’s ancient roots, given it’s status as a short form of Alexander. 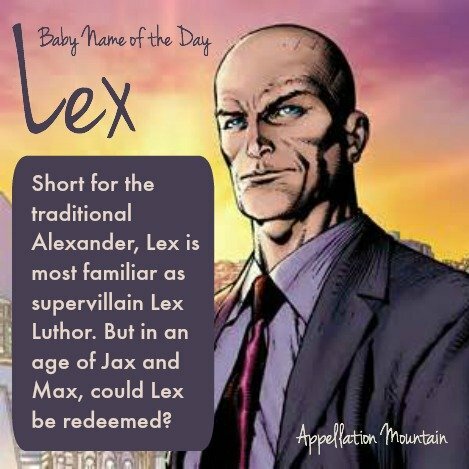 If there are good reasons for Lex to feel like an independent given name in 2015, the question might be this: does the villain persuade parents to avoid this one? That’s a tough one. After all, short names for boys and x-ending names are both trends that are picking up now. And Luthor was redeemed – at least somewhat – on Smallville, the most recent pop culture reference to the Superman story for many. But now Oscar-nominated actor Jesse Eisenberg will play the role for the upcoming Batman v Superman: Dawn of Justice. Perhaps Eisenberg will make Luthor likable, and make Lex feel like a great option for a son. Or maybe we’ll have to file this name in the too villainous to use category. What do you think of Lex as an independent given name? Is it better as a nickname? Or too tied to comic books to use at all?